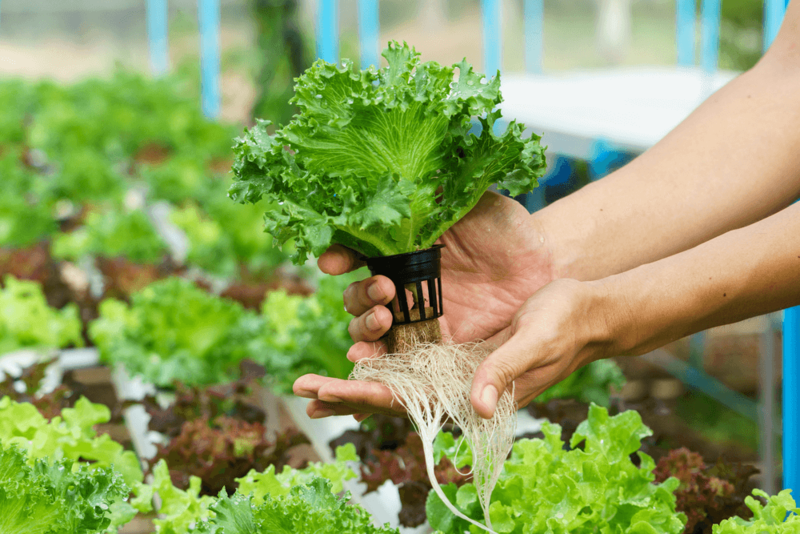 NFT Aquaponics – A Viable Option? 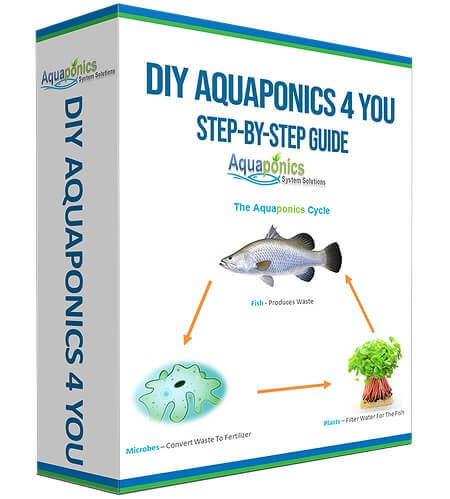 Aquaponics is the merging of hydroponics and fish breeding to create a natural, almost maintenance free, environment; perfect for growing plants faster without the need for additional fertilizers. Fish are kept in a tank; their waste products are transformed by nitrifying bacteria, changing the ammonia into nitrates that plants need to grow. In turn, the plants clean the water; giving the fish a safe place to live and flourish. NFT, or Nutrient Film Technique is when the water is pumped from the fish tank into channels. The plants can absorb the nutrients they need from this water before it flows back to the fish tank; usually with the aid of gravity. The NFT system is a continuous flow, not a flood and drain type approach. You may also be surprised to discover that there is no grow media. Your fish tank is established as normal. The water is then pumped into channels which are slightly angled downwards. The plant’s roots dangle in the water and absorb nutrients while gravity takes the water back to the fish tank. The idea is to keep part of the roots out of the water. This way, the plant’s roots are not fully submerged but is still in the water. 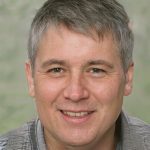 However, it should be noted that there is not enough surface area in the system for all the nitrifying bacteria you need. If you haven’t got enough bacteria, you won’t be able to convert the ammonia into nitrates leading to the death of your fish. The solution to this is to fit a biofilter into your system. It will need to be situated after the fish tank and solids filter before it gets to the channels for the plants. The biofilter simply increases the surface area available to bacteria; encouraging the conversion of ammonia to nitrates. There are some distinct advantages to the NFT aquaponics system. Because part of the roots is exposed they will receive plenty of air. This helps to prevent root rot and keeps the plants healthy. All you need is a fish tank, some pipes to your pump, and to the growing channels, and then some plants or seeds. You can get the system setup and running in virtually no time! The constant movement of water makes it a much less attractive environment for algae and fungal growth. This is beneficial as these types of issues can quickly damage your crop production; as well as rendering food unsafe to eat. Of course, it’s not a perfect system. You’ll need to be aware of what can go wrong before you start, it will help you to be prepared for it and deal with it. Roots dangling in the water are great for the nutrition and health of your plants. However, as they grow the plant’s roots will also grow. Over time this can lead to the blockage of your channels, preventing water from getting to the rest of your plants and stopping your fish from getting the clean water they need. In fact, a clogged channel can cause the death of your plants and fish! That’s why only small plants are used in NFT channels like lettuce. The water in an NFT aquaponics system is pumped through channels and returned to the fish tank. It is inevitable that this water will lose heat or heat up during this process. Because the film of water is quite thin, running NFT channels will have a greater effect on temperature fluctuations than a DWC system. Where there is a lot of water (mass) it will slow down the heating and cooling effect. It’s also worth noting that the roots are partially exposed; they won’t just be affected by the changing water temperature, air temperature changes can affect them adversely as well. Just as clogged channels can prevent your plants from getting the nutrition they need, so too can the failure of your pump. The moment this happens your plants will not be able to access water. They will start to wilt and, if left long enough, will die. In DWC systems this is not the case. Of course, this will also affect the health of your fish which will be swimming in ammonia-rich water, which can kill them. 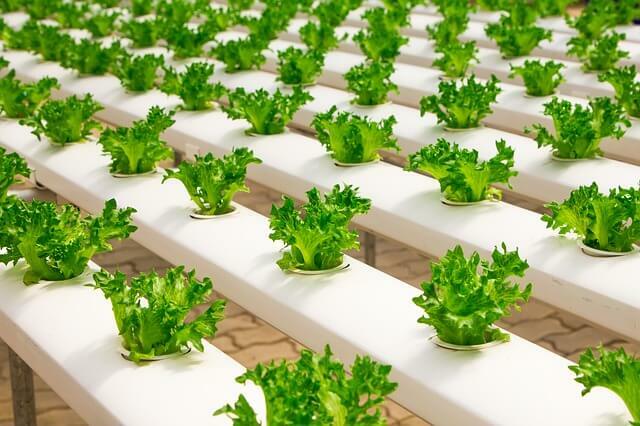 To avoid the worst of the issues with NFT aquaponics it is advisable to grow plants that have shallow roots; this will decrease the chances of the channels becoming blocked. Some great choices include all types of lettuce, chard, basil, mint, sage; mustard greens, kale, and even pansies. If you’re prepared to use deeper channels and spend a little extra time looking after your plants, particularly monitoring the roots, then you can try growing tomatoes, strawberries, and even peppers. Growing these plants in an NFT system is seldom done and not advised. You should definitely avoid taller plants with bulky and heavy root structures. What size pipe for NFT aquaponics? 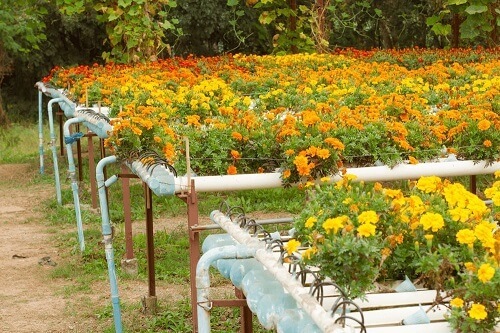 If you’re hoping to start an NFT aquaponics system, then it is advisable to choose a 4” pipe. This is large enough to provide good water flow while allowing the roots of the plants to reach the water. Depending on exactly what plants you are hoping to grow you’ll find that 6” between plants should be sufficient and holes of approximately 3” in the pipe will be sufficient for your plant to grow out of. Deep Water Culture, (DWC), is another type of aquaponics that doesn’t require a growing media. However, DWC has a much deeper pool of water for your plants to grow into. The major advantage of this is that it is easier to regulate the temperature of the water; it won’t heat up/cool down as much as the NFT system does. You’ll need a much larger container for your water, the plants will sit in pots which are sunk into the lid of the growing container. The roots can then reach for the water and get the nutrition they need. You will probably need to use a biofilter and can opt to have floating rafts in this type of system. 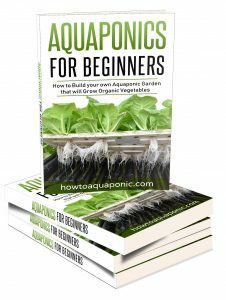 The key thing to remember, whether trying NFT aquaponics, DWC, or the more traditional flood and drain, is to have fun and be prepared to experiment. The best set up is different for everyone.